Grab some pork and seasonings and let your slow cooker do all the work! 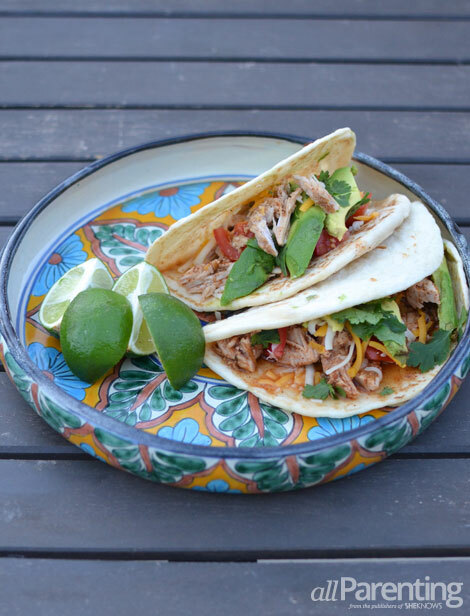 Tasty shredded pork for tacos makes for a simple weeknight dinner that the whole family will love! Who doesn’t love taco night? Nobody. Taco night is a go-to for any family. Instead of using your standard ground beef or chicken tacos, pull out your slow cooker and throw in some pork. Cooking pork slow and steady ensures tenderness, perfect for shredding for tacos. With just a few seasonings and ingredients, you’ll be able to start your slow cooker, walk away and have dinner all ready by the end of the day. When it comes time for dinner, just grab some tortillas and your favorite taco topping ingredients and build your perfect simple shredded pork taco! In a slow cooker, combine the salsa, green chilies, chili powder, oregano, garlic salt and pepper. Add the pork and turn to coat. Cover and cook until the meat is tender and pulls apart easily, on low for 7 to 8 hours. You could also cook on high for 4 to 5 hours but low is preferred. 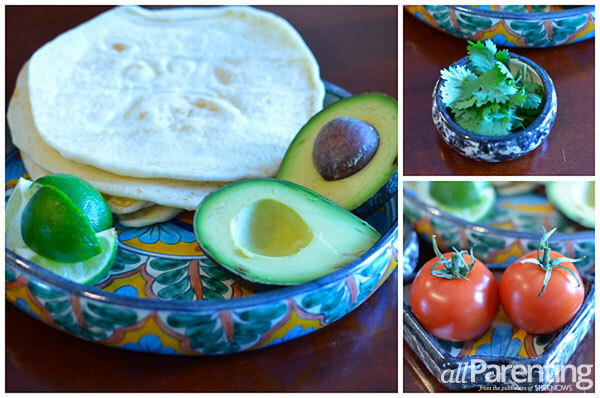 Twenty minutes before serving, heat oven to 350 degrees F. Stack the tortillas and wrap in tin foil. Bake until warm, about 10 to 15 minutes. Meanwhile, using 2 forks, shred the pork and stir into the remaining cooking liquid in the slow cooker. Serve pork with tortillas, cilantro, sour cream, lime and extra optional taco toppings. Enjoy!